One of the unforeseen benefits of having budgerigars as pets is the bonus of seeing other birds around. Outside, Albert and Victoria seem to attract other visitors, but none more welcome than these peaceful doves. These sweet birds come close to the budgies’ cage, gobbling up any wasted seed. 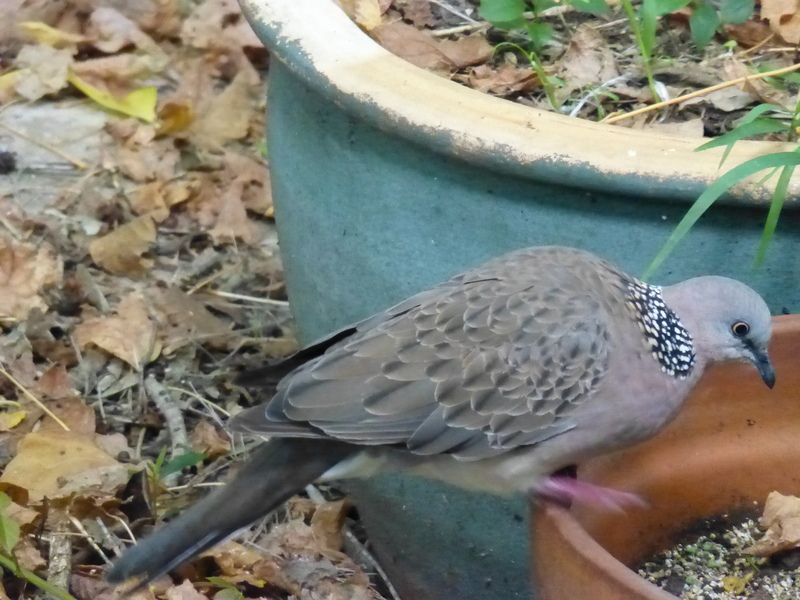 But their favourite spot seems to be the pot-plants where, routinely, I tip the dregs of the seed-bowl.